Nine designs for inner peace : the ultimate guide to meditating with color, shape, and sound / Sarah Tomlinson. One year to an organized life : from your closets to your finances, the week by week guide to getting completely organized for good / Regina Leeds. Organize your mind, organize your life : train your brain to get more done in less time / Paul Hammerness and Margaret Moore, with John Hanc. by Hammerness, Paul Graves | Moore, Margaret, MBA | Hanc, John. 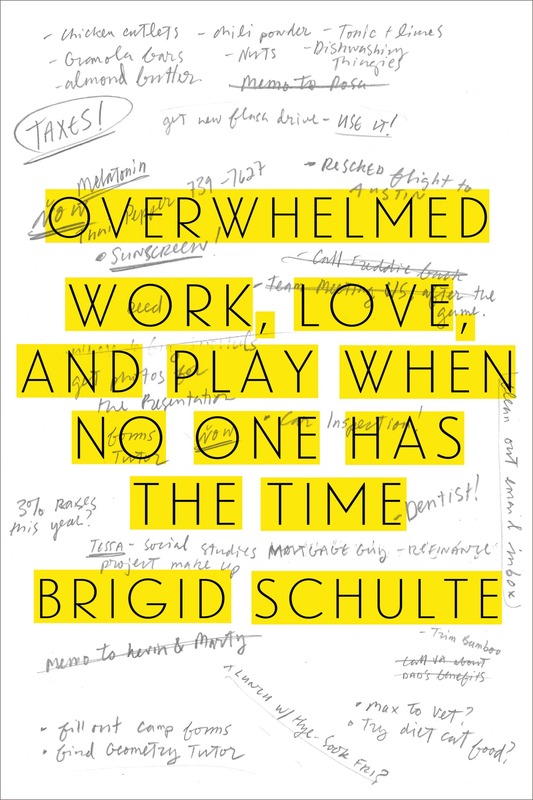 Overwhelmed : work, love, and play when no one has the time / Brigid Schulte. Pure vegan : 70 recipes for beautiful meals and clean living / by Joseph Shuldiner ; photographs by Emily Brooke Sandor and Joseph Shuldiner. by Shuldiner, Joseph | Brooke Sandor, Emily. Reiki [sound recording] : hands of healing / Deuter. by Deuter, C. H, 1945-. Seven flowers and how they shaped our world / Jennifer Potter. Slim for life : my insider secrets to simple, fast, and lasting weight loss / Jillian Michaels. Small-plot, high-yield gardening : grow like a pro, save money, and eat well from your front (or back or side) yard 100% organic produce garden / Sal Gilbertie and Larry Sheehan. by Gilbertie, Sal | Sheehan, Larry. So long, insecurity : you've been a bad friend to us / Beth Moore. Stress free [sound recording] : music for the end of the day. by Marriner, Neville | Romano, Pepe | Romero, Celin | Brown, Iona | Leister, Karl | Haitink, Bernard, 1929- | Arrau, Claudio, 1903-1991 | Serafin, Tullio, 1878-1968 | Hall, Nicola, guitarist | Academy of St. Martin-in-the-Fields | Concertgebouworkest | Santa Cecilia Academy Rome Orchestra. Sunshine Cleaning [videorecording] / Overture Films presents ; in association with Big Beach ; a Big Beach/Back Lot Pictures production ; produced by Glenn Williamson, Marc Turtletaub ; produced by Peter Saraf, Jeb Brody ; written by Megan Holley ; directed by Christine Jeffs. by Brody, Jeb [pro] | Saraf, Peter [pro] | Turtletaub, Marc [pro] | Williamson, Glenn [pro] | Holley, Megan [aus] | Jeffs, Christine, 1963- [drt] | Adams, Amy [act] | Blunt, Emily [act] | Arkin, Alan [act] | Spevack, Jason [act] | Zahn, Steve, 1968- [act] | Rajskub, Mary Lynn, 1971- [act] | Collins, Clifton, Jr [act] | Olsen, Eric Christian, 1977- [act] | Dooley, Paul, 1928- [act] | Back Lot Pictures | Big Beach (Firm) | Anchor Bay Entertainment, Inc. The art of procrastination : a guide to effective dawdling, lollygagging, and postponing / John Perry. The best yes : making wise decisions in the midst of endless demands / Lysa TerKeurst. The clean 20 : 20 foods, 20 days, total transformation / Ian K. Smith, M.D. by Smith, Ian, 1969- [author.]. The complete illustrated encyclopedia of wild flowers & flora of the world : an expert reference and identification guide to over 1730 wild flowers and plants from every continent : 3800 beautiful illustrations, maps, and photographs / Martin Walters and Michael Lavelle. The courage to be disliked : the Japanese phenomenon that shows you how to change your life and achieve real happiness / Ichiro Kishimi, Fumitake Koga. by Kishimi, Ichirō, 1956- [author.] | Koga, Fumitake, 1973- [author.]. The edible garden : grow your own vegetables, fruits & herbs no matter where you live / from the editors of Country Gardens magazine. by Country gardens (Magazine) [issuing body.]. The family guide to mental health care / Lloyd I Sederer ; foreword by Glenn Close. by Sederer, Lloyd I | Close, Glenn.